LANCIA MUSA 350 1.4 Timing Belt Kit 04 to 12 Set QH. LANCIA MUSA (350_) 1.4 MPV Petrol 10/2004 09/2012 FWD 16 95 70. LANCIA MUSA (350_) 1.4 MPV Petrol 10/2007 09/2012 FWD 16 90 66. Function Timing Belt Set. LANCIA MUSA 350 1.4 Timing Belt 04 to 12 QH. LANCIA 46403659. LANCIA MUSA (350_) 1.4 MPV Petrol 10/2004 09/2012 FWD 16 95 70. LANCIA MUSA (350_) 1.4 MPV Petrol 10/2007 09/2012 FWD 16 90 66. Function Timing Belt. Fiat Doblo Cargo 223 1.3 D Multijet. Fiat Doblo 119 1.3 JTD 16V. Fiat Doblo 119 1.3 D Multijet. Fiat Doblo 119 1.3 JTD. Fiat Doblo 263 1.3 D Multijet. Fiat Doblo Cargo 223 1.3 JTD 16V. Fiat Doblo Cargo 223 1.3 JTD 16V Multijet. 1.3D Multijet. 1.3 D Multijet. Punto/Grand Punto. 1.3 JTD 16V. ENGINE SIZE. ENGINE CODE. OIL PAN MATERIAL: STEEL. AND MAKE SURE THE ITEM IS IDENTICAL TO THE ORIGINAL ONE. LANCIA MUSA (350_) 1.4 MPV Petrol 10/2004 09/2012 FWD 16 95 70. LANCIA MUSA (350_) 1.4 MPV Petrol 10/2007 09/2012 FWD 16 90 66. Function Gasket, cylinder head. Gasket Design Multilayer Steel (MLS). FIAT 500L (351_, 352_) 1.4 Hatchback Petrol 09/2012 on FWD 16 95 70. Driven Unit(s): Camshaft. Part Manufacturer: Gates. Gates Reference Number: GATK015627XS. Contents: 1x Timing Belt Kit. Belt Width (mm) OE Reference Number. LANCIA MUSA (350_) 1.4 MPV Petrol 10/2004 09/2012 FWD 16 95 70. Function Gasket, cylinder head. LANCIA Y (840_) 1.2 16V (840AD) Hatchback Petrol 04/1997 09/2003 FWD 16 86 63. LANCIA Y (840_) 1.2 16V (840AG1A) Hatchback Petrol 10/2000 09/2003 FWD 16 80 59. MBQ, KLAXCAR, ADL BLUEPRINT, QH, GATES, ALL OUR BELTS ARE MANUFACTURED TO O.E SPEC. 1.3 D Multijet. 2.0 16V HPi (DERLZB). 1.3 JTD 16V. 1.3 Multijet 4x4. 1.3 D Multijet 4x4. 1.3 JTD 16V Multijet. 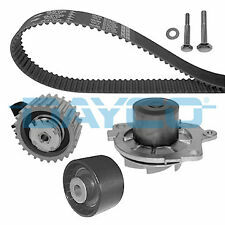 Timing Belt & Water Pump Kit 530046230 INA. Part Number 530046230. FIAT 71771599. Function Water Pump & Timing Belt Set. Number of Teeth 129. FIAT DOBLO Box Body / Estate (263_) 1.4 Flex Box Body / Estate Petrol/Ethanol 01/2014 on FWD 8 86 63. LANCIA MUSA (350_) 1.4 MPV Petrol 10/2004 09/2012 FWD 16 95 70. LANCIA MUSA (350_) 1.4 MPV Petrol 10/2007 09/2012 FWD 16 90 66. Function Gasket, exhaust manifold. LANCIA Y (840_) 1.2 16V (840AG1A) Hatchback Petrol 10/2000 09/2003 FWD 16 80 59. BRAND NEW TIMING CHAIN KIT OE QUALITY 2 YEAR WARRANTY FITS ALFA ROMEO MITO 1.3 JTDm JTDm2 2009- ENGINE CODES: 199A3.000 - 199B1.000 - 199B4-000 PLEASE LEAVE VEHICLE REGISTRATION NUMBER AFTER PURCHASE TO AVOID ANY DELAYS IN THE DELIVERY PROCESS!. LANCIA MUSA (350_) 1.4 MPV Petrol 09/2005 09/2012 FWD 8 78 57. LANCIA MUSA (350_) 1.4 LPG MPV Petrol/Petroleum Gas (LPG) 11/2010 09/2012 FWD 8 78 57. Function Gasket, cylinder head. Gasket Design Multilayer Steel (MLS). BREATHER HOSE fits LANCIA MUSA MPV - 04>12 - FE37126. FIAT 71744287. LANCIA MUSA (350_) 1.3 D Multijet MPV Diesel 09/2006 09/2012 FWD 16 90 66. VAUXHALL ASTRA Mk V (H) Sport Hatch (A04) 1.3 CDTi (L08) Hatchback Diesel 04/2005 11/2010 FWD 16 90 66. FIAT DOBLO Box Body / Estate (263_) 1.3 D Multijet Box Body / Estate Diesel 02/2010 on FWD 16 90 66. This is an original quality part manufactured by Gates. Part specifications. 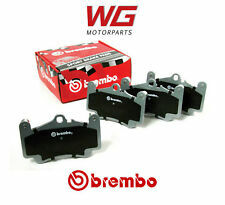 Part Number:5500XS/T42140/T43211/WP0005. Equivalent Part Numbers. LANCIA MUSA 350 1.4 Multi V Drive Belt 04 to 12 843A1.000 QH. LANCIA MUSA (350_) 1.4 MPV Petrol 09/2005 09/2012 FWD 8 78 57. LANCIA MUSA (350_) 1.4 MPV Petrol 10/2004 09/2012 FWD 16 95 70. FIAT IDEA (350_) 1.2 16V MPV Petrol 01/2004 on FWD 16 80 59. FIAT 55223416 71754237 K68103969AA. LANCIA MUSA (350_) 1.6 D Multijet MPV Diesel 07/2008 09/2012 FWD 16 120 88. LANCIA MUSA (350_) 1.6 D Multijet MPV Diesel 07/2008 09/2012 FWD 16 116 85. Function Oil Filter. LANCIA MUSA (350_) 1.6 D Multijet MPV Diesel 07/2008 09/2012 FWD 16 116 85. LANCIA MUSA (350_) 1.6 D Multijet MPV Diesel 07/2008 09/2012 FWD 16 120 88. Function Gasket, cylinder head. LANCIA DELTA III (844_) 1.6 D Multijet Hatchback Diesel 08/2008 08/2014 FWD 16 116 85. LANCIA MUSA (350_) 1.9 D Multijet MPV Diesel 10/2004 09/2012 FWD 8 101 74. Function Gasket Set, cylinder head. LANCIA LYBRA (839_) 1.9 JTD Saloon Diesel 05/2001 10/2005 FWD 8 116 85. LANCIA LYBRA (839_) 1.9 JTD (839AXI1A) Saloon Diesel 09/2000 05/2001 FWD 8 110 81. OPEL 5607845. LANCIA MUSA (350_) 1.9 D Multijet MPV Diesel 10/2004 09/2012 FWD 8 101 74. Function Gasket, cylinder head. Gasket Design Multilayer Steel (MLS). FIAT IDEA (350_) 1.9 JTD MPV Diesel 01/2004 on FWD 8 101 74. Fiat 500 C 9/ 2009 - / 2015 Petrol: 1.2 169A4.000. Fiat 500 12/ 2010 - / 2017 LPG: 1.2 169A4.000. Fiat 500 10/ 2007 - / 2017 Petrol: 1.2 169A4.000. Fiat Doblo 223 10/ 2005 - / 2010 Petrol: 1.4 350A1.000. Kit Contents1 X NEW TIMING CHAIN. 1 X CHAIN COVER GASKET. 2 X CHAIN GEAR SPROCKETS.